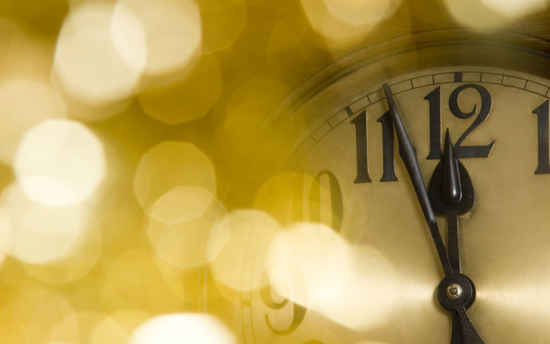 As 2016 comes to a close, it's time to reflect and celebrate. Here's hoping your 2017 is an absolute delight! 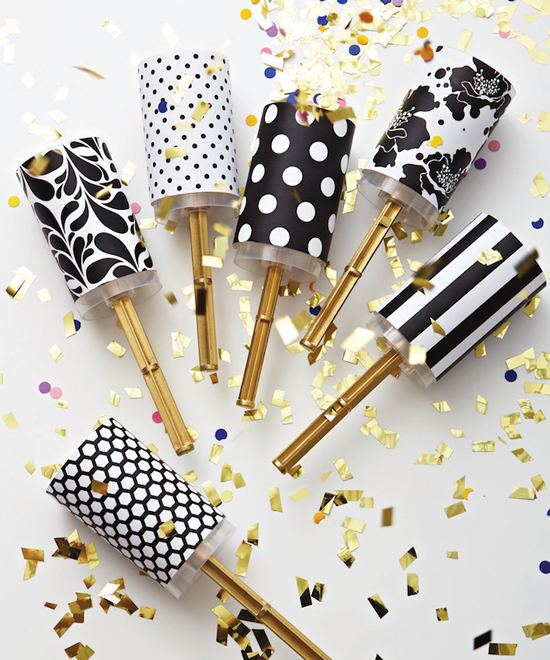 My Favorite Things has many fantastic products that will help you celebrate the glitz, glamour, and fun of New Year's Eve. 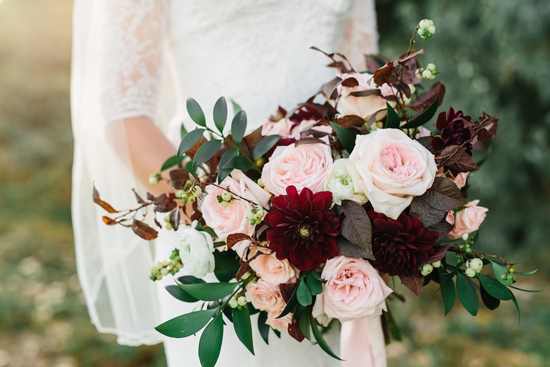 Let's check out some super cool designs to inspire you! 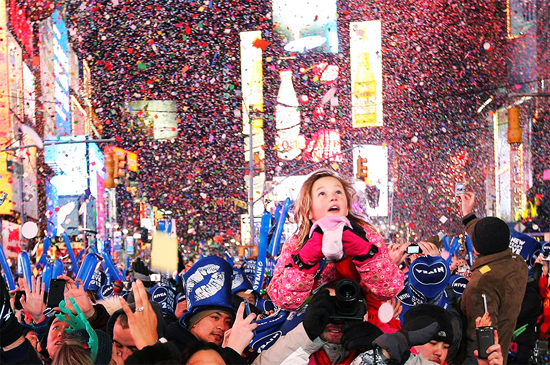 Looks like Times Square has a prehistoric visitor for New Year's Eve on Amy's card! 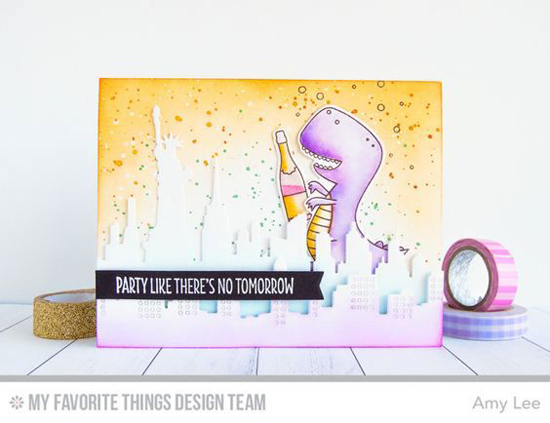 The You're Rawr-some stamp set and New York Skyline Die-namics create a festive scene with the absolute perfect sentiment for a celebratory evening. The Layered Champagne Glass Die-namics set against swaths of color creates a festive design for the New Year. The sentiment from the Hand Lettered Holiday stamp set in black adds to the sophistication of this design. Treat yourself to a bubble bath this weekend and celebrate the good things in life. Francine's design using the Time for the Bubbly stamp set oozes relaxation and self care. Wishing you much of that in 2017! 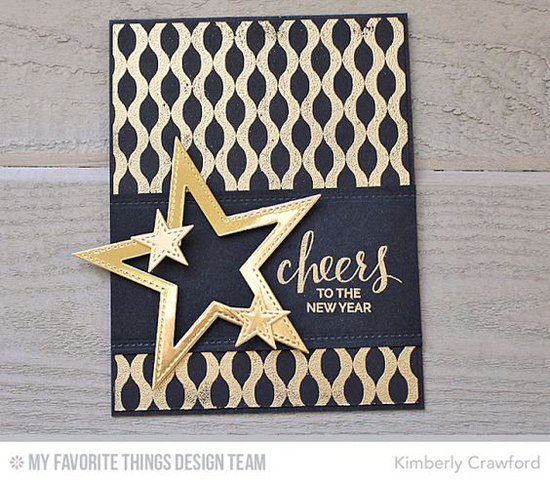 Kimberly's card matches the inspiration photos well with her chic and trendy New Year's design. The snazzy gold heat embossed background she created with the Winter Waves Background stamp shimmers against the black card stock and the perfectly placed sentiment and stars makes for a knockout of a design! As 2016 comes to a close, it’s time to celebrate with a fun and festive shaker card. 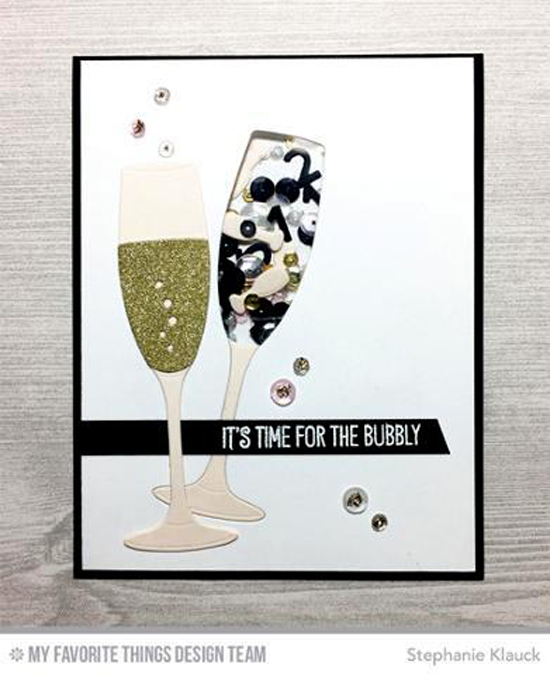 Stephanie used the Layered Champagne Glass Die-namics in conjunction with the Time for the Bubbly stamp set and Die-namics to create a sparkly New Year’s Eve card. I love how she added numbers in her shaker, too! You can see how she created this card HERE. 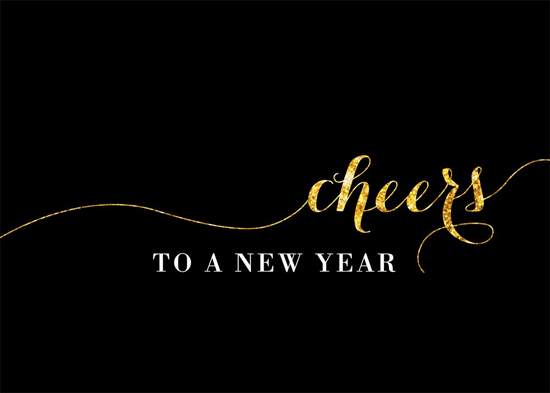 Before you go, take a look at a few of the festive New Year's Eve related things you can buy at the My Favorite Things online store! Simply click on the photo to be taken directly to the product. If the product is currently out of stock, you can sign up for an email notification once it's back in stock! Here's to a creative (and festive!) 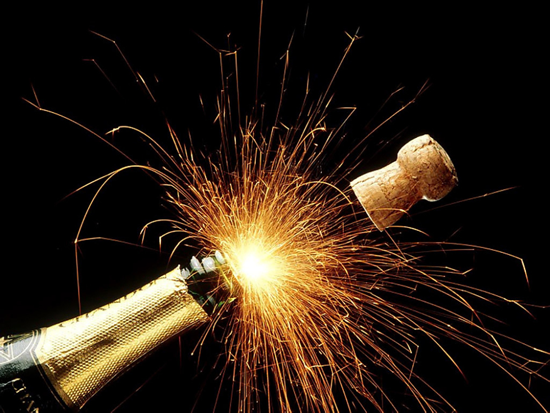 weekend and a fabulous 2017!